Benefits: It greatly enhances the concentration and helps the person to achieve more knowledge in life. Some people get defocused easily and are not able to focus on one thing. This rudraksha helps them in focusing by channelizing the thoughts. 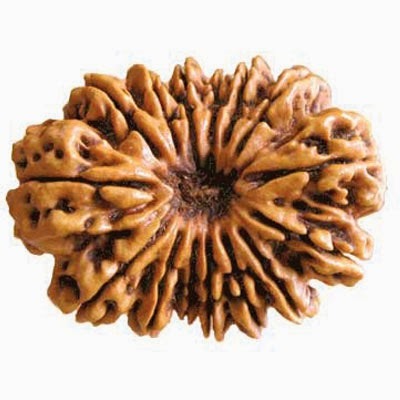 Who Should Use it: This rudraksha is recommended for those who want to increase their lateral and abstract thinking. Those who are suffering from allergy, asthma, skin diseases and heart diseases, this rudraksha comes as a boon for them. Chant Panchakshari Mantra (given below) for 11 times. Please keep in mind the precautions given for Rudraksha in my earlier post. Though you can wear it in on any Monday, the best time in the year to wear the Rudraksha is Mahashivratri. It is difficult for me to tell you. If you can wait till Diwali then you can buy it from me. I am in process of opening my online shop where I will sell genuine gemstones and rudrakshas in reasonable cost.